Gripper Rotary Unit has miniaturized, focused design. 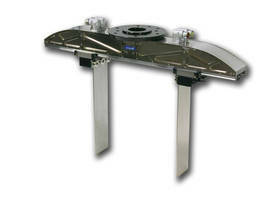 Vacuum Handling System is configurable. With ability to handle weights to 614 lb/ftÃ‚-², modular vacuum handling system line of robotic end-of-arm tooling features independent and auto-regulated valve system. 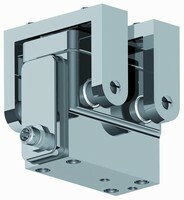 Multiple heads configured in series require only one turbine per head, and each gripper has one valve that is auto-regulated to open and close. 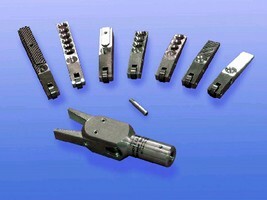 Gripping power remains constant for grippers. Food-Safe Gripper features hygienic design. 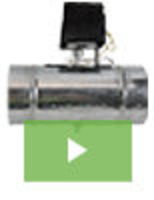 Robotic Grippers are designed to handle high payloads. 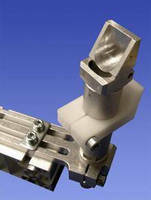 Spring Loaded Gripper Arm is intended for vacuum cups. 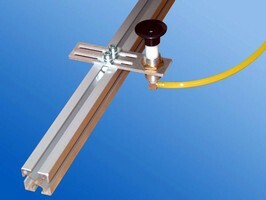 Collet Gripper handles delicate or rugged objects. Enabling collet to grip part on either O.D. 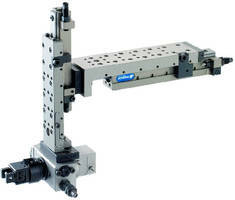 or I.D., C-8800 Heavy-Duty 5C Collet Gripper can rapidly pick and place uniformly sized objects, and features pneumatically adjustable 360Ã‚° clamping force for parts transfer. 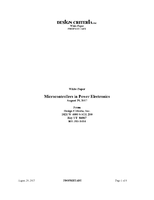 Unit can also function as workholding device for grinding, deburring, or polishing operations.